The Anti-American anthem protests that have plagued the NFL for two full seasons are still doing damage. Commissioner Roger Goodell has been slow to act, as a vocal minority of players are resisting any league action against protesters. But two patriotic business owners are pushing back in a way that should give the NFL huge concern. Ever since free agent quarterback Colin Kaepernick originated the anti-American displays during the Star-Spangled Banner, the league’s inaction has been frustrating for patriotic Americans. 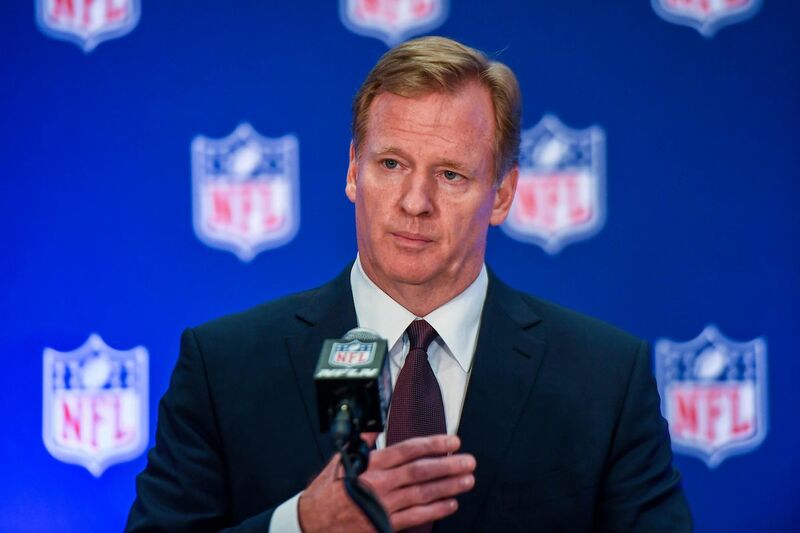 Goodell watched stadium attendance drop, television ratings fall, and advertising revenue dwindle. Instead of stopping the bleeding right away, Goodell waited for two seasons to expire, then he enacted a policy that required players to stand for the anthem, or remain in the locker room. If players still choose to protest, their respective teams would be subject to fines, and each team could just decide to punish or not punish the offending players. Several owners came out and said they would gladly pay the fines and not take punitive action against the players. The owners also agreed to give $89 million to charitable causes of the players’ choosing. But apparently, this wasn’t good enough. The small clique of protesters in conjunction with the Players’ Association caused a ruckus over the new policy and filed a grievance with the league. Sadly, Goodell caved for no reason and suspended his new policy. The league and the players are currently locked in negotiations over the “right” to protest the American flag. The majority of Americans do not at all agree with the players’ stance, so it’s understandable that people around the country are taking action. Individuals are walking away from the anti-American rhetoric, but now businesses are, too. A restaurant in Florida recently announced they are canceling their NFL Sunday Ticket package in protest against the league for not taking a stand on the anthem issue. The business owners will save $5,000 in subscription fees but will lose revenue in decreased traffic on football Sundays. But the owners are fully aware of the consequences, and they’re willing to accept them. Ironically, the so-called principled anthem protesters don’t have the same courage of their conviction. If they truly believe their protests are necessary, they shouldn’t be whining to the league about paying fines or potentially be suspended. Nobody says protesters must be applauded for their position, especially when it involves desecrating the iconic American symbol. The NFL should be very concerned about this development. If businesses start turning away, the league will have to decide if they’d rather placate sponsors and millions of patriotic Americans, or a fractional percentage of the 1,700 players in the union. Thus far, the league has chosen foolishly, but if more and more businesses follow this course of action, that could change. In some promising news, Beef O’Brady’s is offering a 40% discount to veterans who purchase food on Sundays during football season.